June McBride, M.A., is the founder and CEO of Outreach Youth Empowerment, LLC, a growing company focused on a dream and a vision for the families and children of this country, which manages the Path to Scholarships® Program resources, workshops, and trainer seminars (TOT), publishes June McBride’s Path to Scholarships® Book Series, and administers www.Edudaris.com. June McBride, M.A. is the founder of the Path to Scholarships® Career and College Readiness with Scholarship Planning Program, which has a primary focus on at-risk youth and dropout prevention. 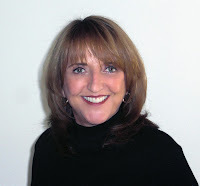 Additionally, she is the author of the Path to Scholarships® Book Series and www.Edudaris.com. June has been traveling nationally since 2000, spreading the news that there is hope for ALL students to achieve post-secondary education with an emphasis on guiding, encouraging, and inspiring historically under represented youth with her motivational presentations. The Path to Scholarships® Program, Book Series and Edudaris.com give hope for a better future and empower educators, parents, and students with ALL the tools to reach their dream and pay for it! Path to Scholarships® Program was created by June McBride, M.A., as she motivated and inspired at-risk, under represented, first generation high school students as a Migrant Title I C resource teacher/counselor in a dropout prevention program at West Orange High School in Winter Garden, Florida between August 1994 to June 2007. In April 2000, June published the First High School Edition, Path to Scholarships®, Making Dreams Come True, which she presented at NASDME in San Diego, CA, which launched the program nationally. Using Path to Scholarships® and www.Edudaris.com as vehicles, June motivates and inspires educators, parents, and students to dare to dream great dreams through the three-day Path to Scholarships® Trainer Seminars (TOT), educator, parent, and student workshops, and leadership institutes. It is through the trainer seminars (TOT) and certifying trainers nationally that the Path to Scholarships® Program has reached and assisted hundreds of thousands of students to organize and successfully apply to college and for scholarships to pay for their dream! The Path to Scholarships® Program is currently implemented within AVID, GEAR UP, TRIO Upward Bound, Migrant Education, and English as a Second Language programs, as well as, many local at-risk, dropout prevention and academic prep programs. June McBride-Pichardo is a first generation Latina from Santo Domingo, Dominican Republic with family roots from Italy and Spain. June's entire life since her youth has been one of serving Latino families for over 50 years through church ministry, the educational arena, and migrant education; teaching and counseling under represented at-risk youth, educators, parents, and students from elementary school through college. Path to Scholarships® Program, Book Series and Resources are authored, published, and distributed nationally by June McBride, M.A., Outreach Youth Empowerment, LLC, April 2000 - Present. Every student wants to get high marks and willing to get the scholarship. Scholarship always courage the student in coming ventures and you can visit http://www.campustalkblog.com/10-online-resources-to-help-prepare-for-final-exams/ for latest updates. Making the dreams true is really nice and good for all the community members. The best essay writing services are really great for all of us because in this way we can make our life great.